Rematch & re-battle the Elite Four and the former Pokemon League Champion (Rival)! Get tips and guides on how to beat Lorelei, Bruno, Agatha, Lance & the Champion (Rival) again! When you face off with the Elite Four & former Pokemon League Champion, their Pokemon are stronger. Their levels are higher by 10. 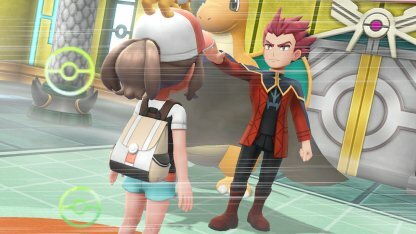 Lorelei, Bruno, Agatha, and Lance will each have Alolan versions of their specialized Type. Since these Pokemon have different stats from their regular version, it's best to check them before fighting! Check Out Alolan Pokemon Here! 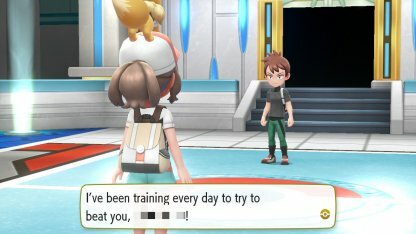 You'll battle the former Pokemon League Champion or your Rival and face the same lineup of Pokemon, just with +10 level. 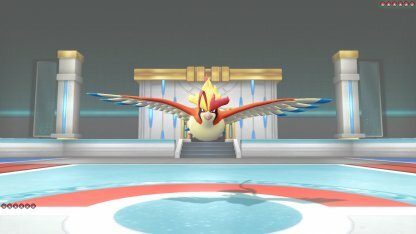 Note that Pidgeot will still Mega Evolve in this fight. 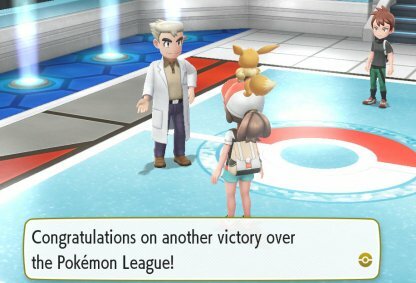 You can challenge Red & Green again after defeating the Pokemon League again. You can cycle this and farm money this way! 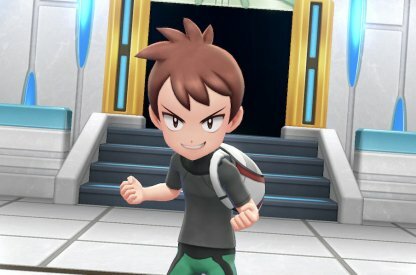 Check Out End-Game Trainers Here! 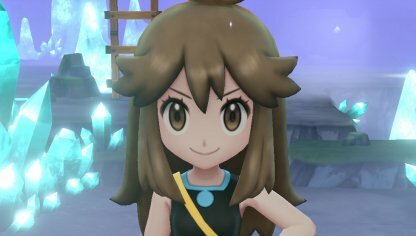 Lorelei's roster of Ice Type Pokemon is stronger now! She also has an Alola Sandslash in her arsenal! 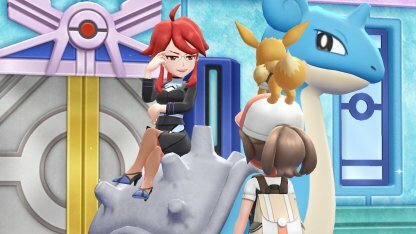 Lorelei's Ice Types will still be weak against Electric and/or Grass Types. 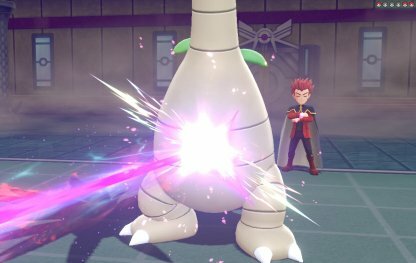 Use this knowledge to train these specific Pokemon when you're ready to face her. 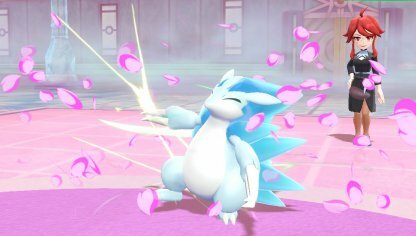 The Alola Sandslash can easily be taken care of via a strong Fire or Fighting Pokemon as it suffers x4 damage to these Types. 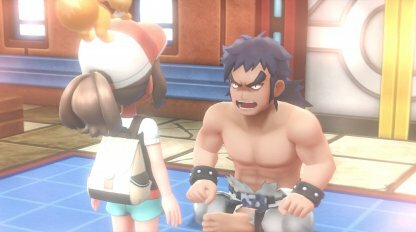 Bruno's Pokemon will gain 10 more levels and he adds an Alola Golem into his party! 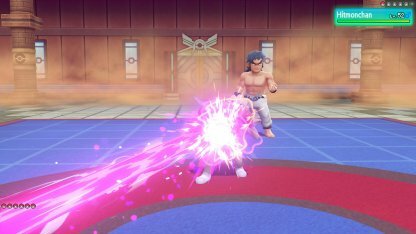 Bruno's Alola Golem will be 4x weaker to Ground Pokemon. Have a leveled up one in this Type to quickly take it down. 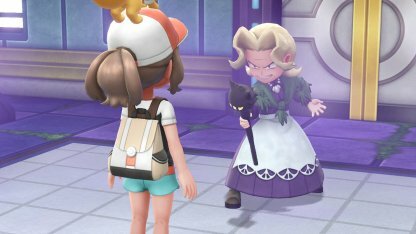 Agatha's Ghost Pokemon will be 10 levels higher and she'll also have an Alolan Marowak in her lineup. 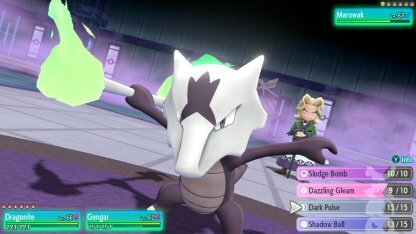 Agatha's Alola Marowak is weak to Water, Ground, Ghost, and Dark Type moves. 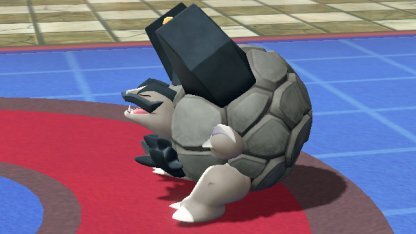 Make sure your Pokemon is one of these Types or has a move like this before facing this Pokemon! 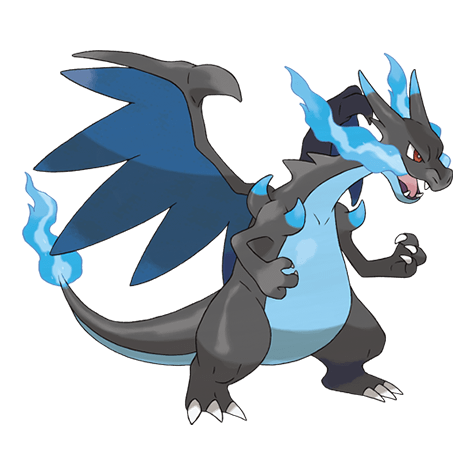 In this battle, Lance's Charizard will evolve into Mega Charizard X. 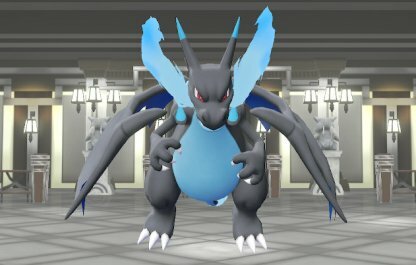 Bring a strong Rock Pokemon to combat Mega Charizard's higher stats! Lance's Exeggutor is 4 times weaker to Ice Type damage. 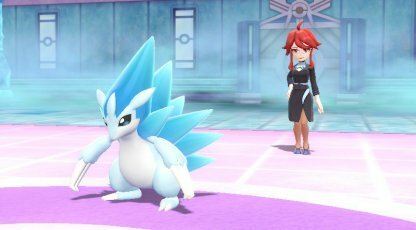 A powerful Ice Pokemon will be able to take it down fast.